Friday 5 April! 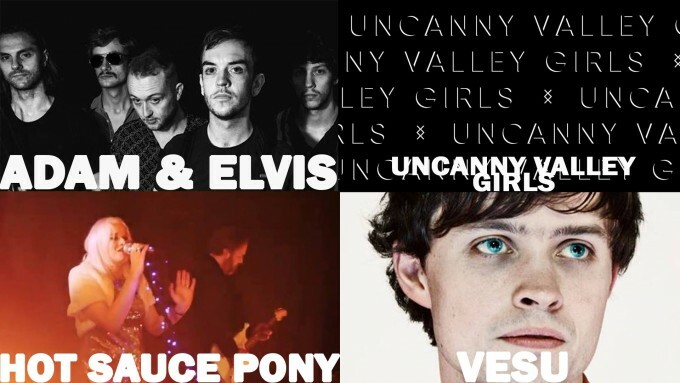 Punk sextet from Reading, Adam & Elvis, join us for an evening of Rock n Roll with support from Brixton Avant Hard merchants Hot Sauce Pony, weirdo indie rockers Uncanny Valley Girls & Vesu music opening up proceedings. At the core of the band are the Malone brothers, Pat and Tom who construct songs that are equally as melodic as they are whacky. Sharp guitars, highly driven bass lines and synthesizers are their tools and combined with lyricist Pat’s love for comedy and horror, much like his heroes Leonard Cohen and Bukowski, ADAM & ELVIS deliver great blend of fast paced, thought provoking and ultimately catchy music. Sounds like Julee Cruise playing poker with Stereolab at a Sunn 0))) concert…probably. Rich song craft, atmosphere & textures draw together observations on memories, relationships, & freeze frame moments of life.